Chris Cornell was one of the founding members of grunge, helping millions of music lovers channel their angst and hard feelings through the bands Soundgarden, Temple of the Dog, and beyond. He earned even more fans when he formed Audioslave in 2001, and was an accomplished solo artist in his own right. His sudden death on May 17th, 2017, continues to send shockwaves throughout the music industry as people piece together what happened on that fateful night in Detroit, Mich. In light of the tragic news, here's a look back at a man who was complicated, charitable, and one of rock and grunge's signature voices. Was his death a suicide? 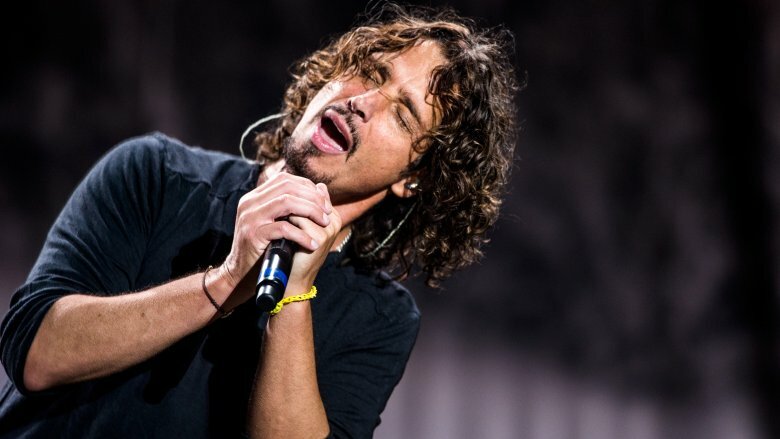 Cornell died on the evening May 17, 2017, shortly after performing a concert with Soundgarden in Detroit. 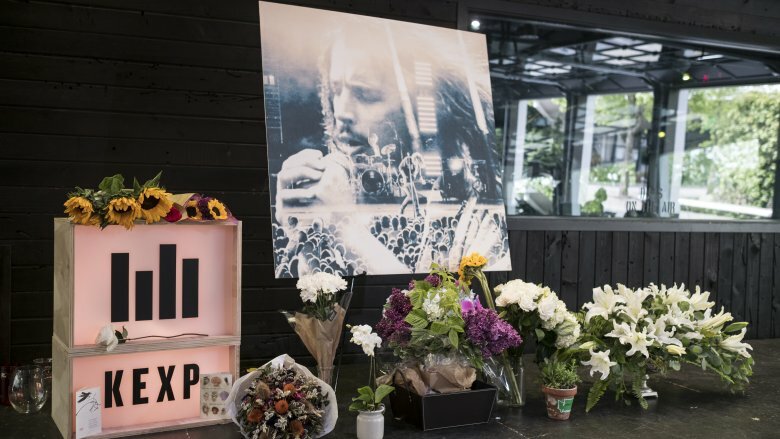 His representative described it as "sudden and unexpected," adding that the singer's family will be "working closely with the medical examiner to determine the cause." Hours after his death was reported, the Wayne County Medical Examiner's office ruled Chris' death a suicide by hanging. According to Us Weekly, a family friend had found Cornell on the bathroom floor of his MGM Grand hotel room. ABC News also reported that two Detroit papers claimed that Cornell was found with "a band around his neck," though Detroit Police spokesman Michael Woody could not confirm that information. Cornell's wife, Vicky, released a statement on his death on May 19, 2017, casting doubts that his death was intentional. On the day of his death, Vicky claimed they had "discussed plans for a vacation over Memorial Day and other things we wanted to do." She said, "When we spoke after the show, I noticed he was slurring his words; he was different. When he told me he may have taken an extra Ativan or two, I contacted security and asked that they check on him." "What happened is inexplicable and I am hopeful that further medical reports will provide additional details," she continued. "I know that he loved our children and he would not hurt them by intentionally taking his own life." Cornell had two daughters with Vicky, as well as a daughter with his first wife. 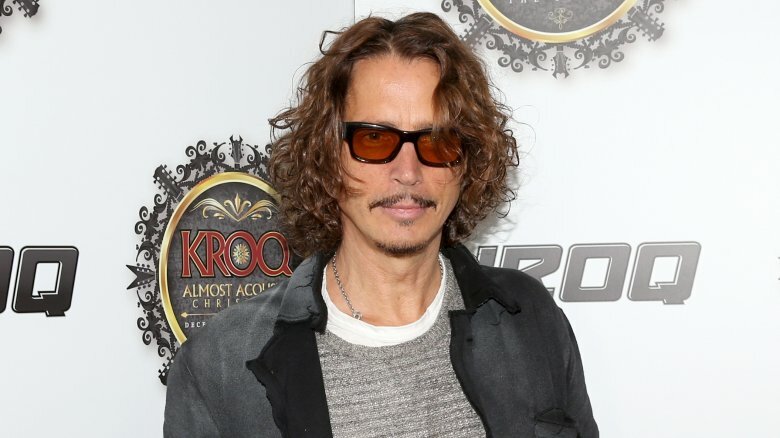 Cornell suffered from debilitating depression as a teenager. Speaking to SPIN magazine in 2006, he blamed his suffering on a bad experience taking PCP at age 14, which he said led to a panic disorder and bad flashbacks. "From 14 to 16, I didn't have any friends," he said. "I stayed home most of the time. Up till then life was pretty great. The world was big and I felt I could do anything I wanted. Suddenly, I felt like I couldn't do anything. But in the isolation, my imagination really had time to run." Cornell added he didn't touch drugs until his late 20s, which was brought upon by a long and serious battle with alcoholism. He eventually decided to go to rehab, all thanks to the help of Audioslave. "The other three members of Audioslave didn't know me that well, and when we started making the first record, I was pretty much at my worst…," he recalled. "We were writing great songs, but then it got scary from them. Their urging didn't come from a place like 'We're concerned about our careers.' It came from a place like 'We're concerned about you.' I felt a sense of sadness and fear in them that made me wake up. It was being around people who weren't part of the bad part of my life that I then saw how bad it was." Cornell's near four-octave range helped Soundgarden achieve its signature sound. In the grunge era of mumbling, off-key rock stars, Cornell defied expectations with his operatic pipes and penchant for suddenly switching from falsetto to raspy scream. Many of the tributes to Cornell after his death touched upon his once-in-a-lifetime vocal range, described as everything from "spectacular" to "the greatest voice of his generation." "Chris Cornell sang as if he were bearing the weight of the world…" The New York Times wrote. 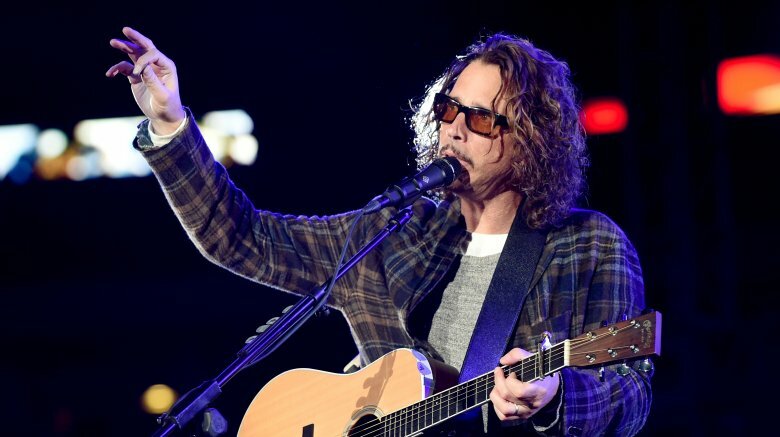 "At the bottom of its nearly four-octave range, Mr. Cornell's voice was a baritone with endless reserves of breath and the seething tension of contained power… As it rose, higher and higher, Mr. Cornell's voice could sustain a melody through the fray, or it could confront hard-rock turbulence with grunts, rasps, wails, bitter moans and, at the top of his range, full-bodied shrieks that admitted no weakness." Cornell was friends with two quintessential male singers of the '90s, Kurt Cobain and Jeff Buckley, both of whom died tragically in 1994 and 1997, respectively. Buckley was described by the Irish Independent as being "practically a brother" to Cornell and was said to have influenced his first solo album, Euphoria Morning. One of the tracks on the album, "Wave Goodbye," was written for Buckley, according to SPIN. "[Buckley] was very much full of life and had a lot to say," Cornell told the Irish Independent. "He was somebody in love with experiencing everything. Within a very short time, he had all these famous old rock stars coming to his shows. Which put a a lot of pressure on him. People talked about his concerts the way they used to talk about Hendrix: they'd sit there, wide-eyed, telling you stories about him. He definitely had an aura." "It's impossible to say what it is exactly a guy like that has, that is so attractive to other people. But he had more of it than anyone I had ever met," he added. Success provided many opportunities for Cornell to give back to those in need. 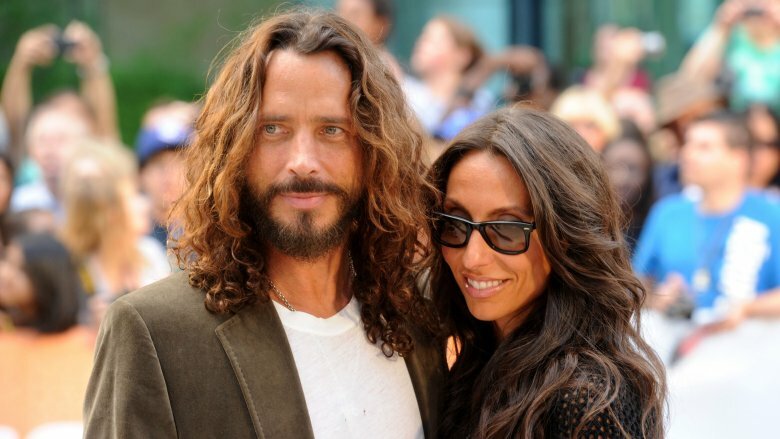 In 2012, he and his wife formed the Chris and Vicky Cornell Foundation, which aimed to "raise awareness and mobilize support for children facing tough challenges, including homelessness, poverty, abuse and neglect." 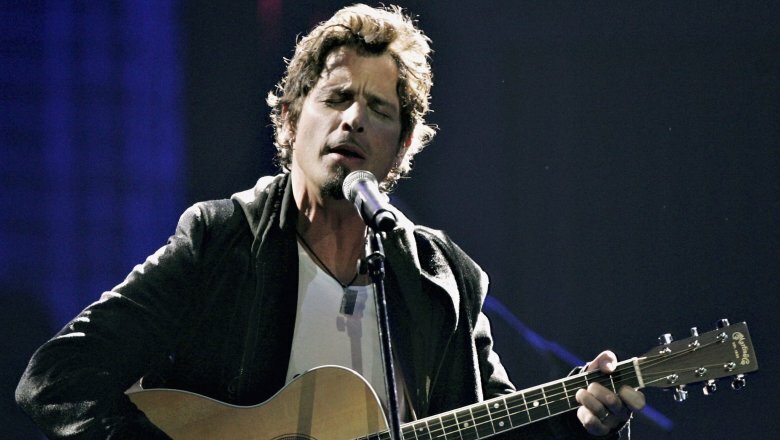 Cornell also recorded songs to help various causes. This included the title track to the 2017 film The Promise, with proceeds going to the International Rescue Committee. "This movie's a great opportunity to tell a story that needs to be told, to help engage the healing of something that happened at a specific time and place, but it also remind us that it's happening now and reminds us what to look for," he said of the film, which was set at the end of the Ottoman Empire and during the Armenian Genocide (via Rolling Stone). "You can see it now in Syria, where you have one regime that is trying to deny any [killing] is happening and you have ISIS on the other side who is targeting a different group and advertising it." In 2011, he also recorded a song for the film Machine Gun Preacher to help raise money for Angels of East Africa, according to Loudwire. Cornell was devastated by the tragic death of Andrew Wood, his roommate and frontman for the bands Mother Love Bone and Malfunkshun. He channeled his grief by forming the band Temple of the Dog with Soundgarden drummer Matt Cameron, as well as future Pearl Jam members Jeff Ament, Mike McCready, and Stone Gossard. While recording the tribute band's self-titled and only album, Rolling Stone reports that eventual Pearl Jam frontman Eddie Vedder, who was just a gas-station attendant night watchman at the time, came up to audition for Arment, McCready, and Gossard and wound up playing a pivotal role on the song "Hunger Strike." "We only had nine songs for the album and that didn't seem complete to me. It seemed like 10 songs was a complete album. I thought that 'Hunger Strike' would be a good message to end the album on, but it wasn't complete. It was just one verse," Cornell said, according to his version of the story. "I was singing the chorus in the rehearsal space and Eddie just kind of shyly walked up to the mic and started singing the low 'going hungry' and I started singing the high one. When I heard him sing, the whole thing came together in my brain. I just felt like, 'Wow, his voice is so great in this low register. He should sing on it. I'll sing the first verse and then he'll come in. Even though it's the same lyrics, it's a different singer and it'll feel like two verses." 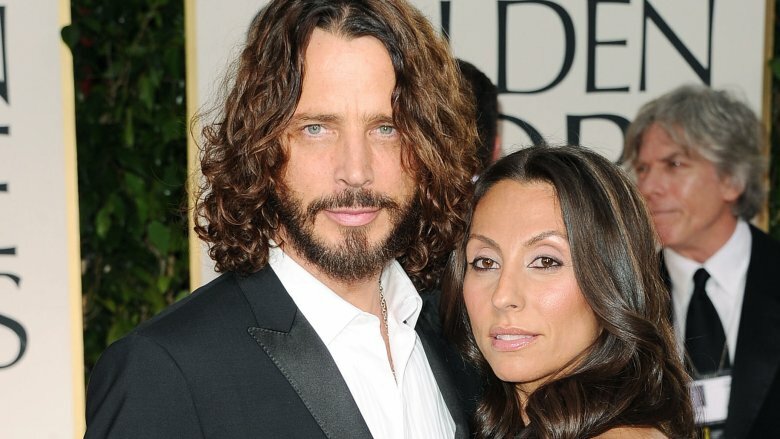 Cornell split from his first wife, Soundgarden manager Susan Silver, in 2004. The following year, he filed a $1 million lawsuit against his ex-wife, claiming Silver "had defrauded him of royalties and never returned, among other things, his Grammys and some recordings and journals," according to SPIN magazine. Silver described Cornell's claims as "baseless" and "absurd," adding that "at no time have there been any wrongdoings on my part, nor any withholding of his property. His claims are as manufactured as [President George W. Bush's] reasons to be at war in Iraq and this attempt to damage my respected reputation will only prove one thing – he should stick to singing." The break-up got weird. According to SPIN, Cornell filed a restraining order against a man he claimed had been hired by Silver to stalk him; the following year, he boasted on his website about "dusting off the 15 or so guitars that I recently had returned to me after the end of a very long lawsuit where someone had decided that maybe the tools of my trade and guitars I played on my entire catalogue should be in their possession forever." For her part, Silver stuck by her story. "It didn't ever have to be acrimonious. It's incredibly painful, unnecessary, and expensive when someone is abusing the legal system to try to hurt another person," she told SPIN. Cornell moved to Paris in the early '00s after he met his future wife, French publicist Vicky Karayiannis, on Audioslave's first tour. "I started coming back to Paris every time I had time off," he told SPIN. "I'd thought about living here for ten years, so that was kind of a coincidence. It's been amazing to get out of my normal surroundings. In America you're kind of trained from a little kid to get a leg up. On the one hand, that makes it easier to get things done, but in Paris people relax more." Cornell, Vicky, and her brother eventually opened up a restaurant in Paris called the Black Calavados. Shortly before his death, Cornell's wife, Vicky, said she knew something was wrong when the singer allegedly told her over the phone that he'd taken more than his usual amount of Ativan. According to TMZ, the toxicology report showed Cornell had "Naloxone (Narcan), Butalbital (sedative), Lorazepam (Ativan), Pseudoephedrine (decongestant) and barbiturates in his system." However, the coroner concluded that "drugs did not contribute to the cause of death" and concluded that Cornell's death was a suicide, reported Rolling Stone. The report also set the record straight on the fresh track marks found on Cornell's arm. They were from EMTs administering Narcan; not from heroin use. Despite the coroner's findings, Cornell's wife believes his untimely passing was an "accidental death" and not a suicide. Vicky issued the following statement to TMZ: "Many of us who know Chris well, noticed that he wasn't himself during his final hours and that something was very off. We have learned from this report that several substances were found in his system. After so many years of sobriety, this moment of terrible judgement seems to have completely impaired and altered his state of mind. Something clearly went terribly wrong and my children and I are heartbroken and are devastated that this moment can never be taken back. We very much appreciate all of the love we have received during this extremely difficult time and are dedicated to helping others in preventing this type of tragedy." On the day news broke about Cornell's death, Linkin Park singer Chester Bennington shared a deeply personal note on Twitter addressed to the late singer. "I'm still weeping, with sadness, as well as gratitude for having shared some very special moments with you and your beautiful family," Bennington said. "You have inspired me in many ways you could never have known. Your talent was pure and unrivaled. Your voice was joy and pain, anger and forgiveness, love and heartache all wrapped up into one. I suppose that's what we all are. You helped me understand that." Bennington added, "I'd like to think you were saying goodbye in your own way. I can't imagine a world without you in it. I pray you find peace in the next life." Bennington sang "Hallelujah" at Cornell's funeral, but no one realized how deeply Cornell's passing may have affected the Linkin Park singer until it was too late. 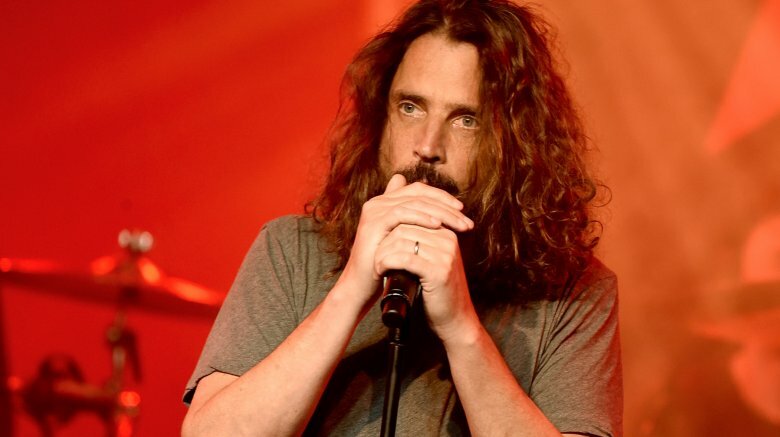 On July 20, 2017, which would have been Cornell's 53rd birthday, Bennington hanged himself in his Los Angeles homes while his wife and children were away. It was another stunning loss to the music world in such a short period of time. On Aug. 4, 2017, Cornell's 12-year-old daughter, Toni Cornell, performed a touching tribute to her father and to Bennington on Good Morning America. Joined by OneRepublic, she sang "Hallelujah," the same song Bennington sang for Cornell at his funeral. According to Rolling Stone, the audience was left "visibly weeping." Many in attendance were Linkin Park fans who were supposed to see the band perform in Central Park that very day. (The show was canceled following Bennington's death.) It was clearly an emotional tribute bravely delivered by a young girl who'd lost her father not even two months prior. "It's an honor to perform this for my dad and Chester and to sing for them," Toni said in a statement. In the aftermath of Cornell and Bennington's reported suicides, some online commentary labeled the musicians as "cowards." Slipknot singer Corey Taylor wasn't having it. In an interview with LoudWire, he unloaded on detractors who failed to grasp the struggles of mental illness. "Calling them 'cowards' is a very immature way of looking at it," Taylor said. "It's the easy way to look at something like that because it makes you not have to face what a serious issue it is. It's easy for someone to label it like that so they can turn their back on it and pretend that it was something that didn't happen to them, when inside they're hurting. People who fight depression are almost in a constant state of hurting." Taylor went on: "I've even heard people recently say something to the fact of, 'It was bound to happen. This was always going to happen.' I've gotten so angry hearing that that I've gone on record saying, 'You are absolutely wrong for saying that.' Suicide should not be a foregone conclusion." "You're not alone," the Slipknot singer told listeners. "Not one person out there who feels that way is alone. It is important for people to know that." While there's no doubt that Cornell's legacy will live on through his music, Vicky has commissioned a statue in his hometown of Seattle. According to The Seattle Times, sculptor Wayne Toth has shown family members his design, and they love it. The only thing they need now is a place for the statue to exist, and they've turned to fans in the city for help in guiding their decision. "He is Seattle's son," Vicky told The Seattle Times, "and we will be bringing him home and honoring him, I hope, with all of you, your love and support." 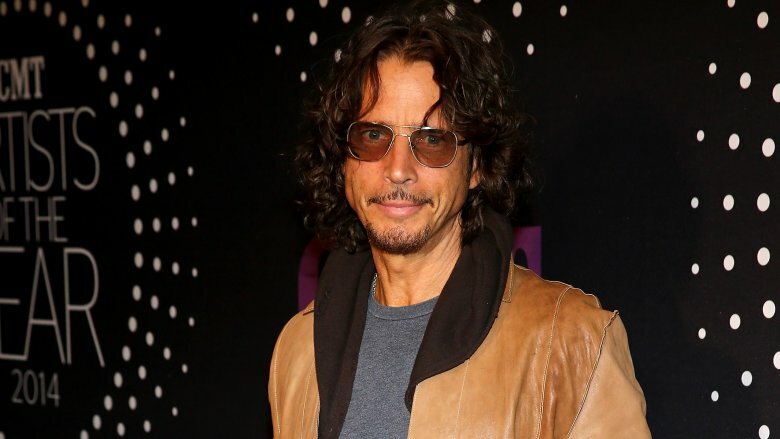 The family is also committed to a $100,000 scholarship for the Chris Cornell Music Therapy Program at Childhaven, an organization that "provides care to children who are abused, neglected and chemically affected, and teaches parents how to care for and nurture their kids." "His promise was to help the most vulnerable children," Cornell's wife said. "My vow now is to keep his promise, and what better way to honor Chris and his hometown than by creating a music program to help these babies heal."